You are here: Home / Parenting Blog at KidsAintCheap / Money and Finances / Kid’s Clothing Consignment Sales: Are They Really Worth It? Parents are always looking for a bargain as the cost of raising kids continues to increase every year. In fact, the United States Department of Agriculture has a calculator that estimates how much it costs to raise a child. Their current calendar indicates that parents will spend at least $500 a year on clothing alone. That’s a lot of money for many families who are struggling just to put food on the table, and just one of the reasons parents flock to kids consignment sales. A consignment sale or store is not like a thrift store. Thrift stores like Goodwill accept donations and then sell the items to fund their programs. Items at consignment sales or stores are usually of better quality and will cost more. The money is split between the organizer of the sale or the store owner, and the person who gave the clothing. So, which is better, for saving on kids clothing – a consignment sale or a thrift store? You will likely find better prices at a thrift store than a consignment store. As mentioned above, parents sell their kid’s clothing on consignment to make some extra money. That makes the clothes more expensive. Consignment stores and sale organizers can be very picky about the items they accept. Many consignment stores specialize in selling designer clothing. The organizers also expect the clothing to be in decent condition. Thrift stores do sort through the donations and sometimes will toss out clothing or items that are too worn or used. However, they are less picky. For example, a thrift store may sell an expensive shirt with a stain anticipating the item will be bought by a buyer who will take it home and get the stain removed. You are more likely to see items that were dumped off at a donation site in a garbage bag at a thrift store. That’s not to say you won’t find a good deal at a thrift store. I found a Ralph Lauren sweater in perfect condition at a thrift store and paid only $4. Later, I ran into someone with more money than me wearing the same sweater. There’s a good chance I got a better deal. They absolutely are, especially if you have a kid who wants to wear designer clothing. That $500 won’t go very far if you buy designer jeans at the mall. You could stretch your dollars by shopping consignment sales and stores. And don’t forget, you can also sell your kid’s used clothing and accessories to consignment stores. You can make a little money and maybe buy something nice for yourself. 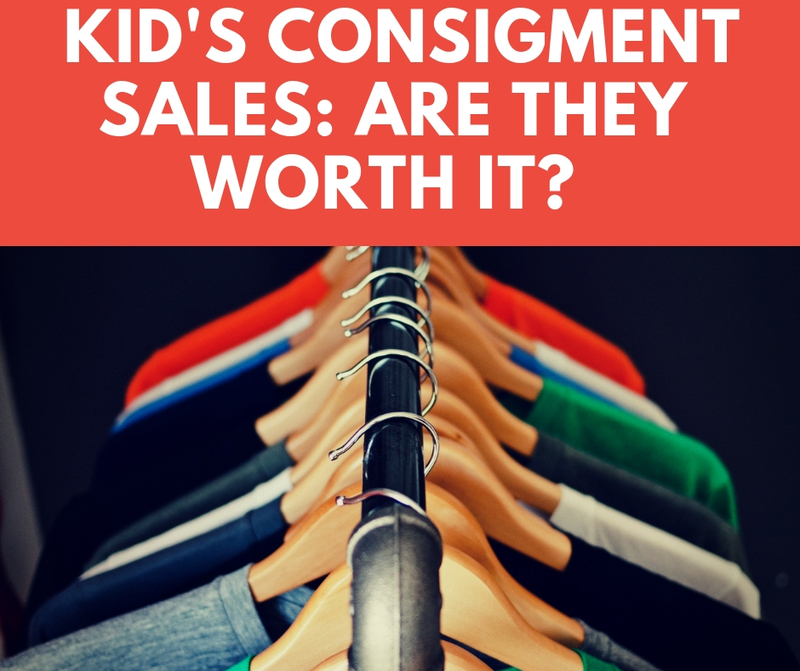 Do you shop at kids consignment stores or sales? Share your experiences in the comment section below.